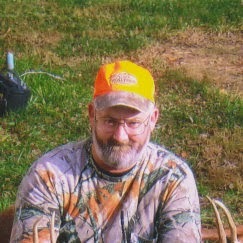 Mr. Bobby Neil Patton, 48, of Marion, KY, passed away Sunday, February 23, 2014. Mr. Patton was a member at Emmaus Baptist Church. He is survived by his wife Maxine Patton; a son, Blake Patton; a step-son, Clint Sunderland; three sisters, Brenda Duncan and (Ruben Houser), Sandy Green and (Kerry Green), Bonnie Fralick and (Bob Fralick); a grand-daughter, Chloe Patton; a grand-son, Thomas Patton; and a step-grand-daughter, Embya Guess. He was preceded in death by his parents, Thomas Austin and Dorothy Brown Patton; and one brother, Thomas Ross Patton. Funeral services will be Thursday, February 27, 2014, at 2PM, in the chapel of Boyd Funeral Directors with Bro. Jimmy Wring officiating. Burial will follow in the Asbridge Cemetery in Marion, KY. Friends may call from 5 to 9PM, Wednesday, February 26, 2014, at Boyd Funeral Directors in Salem. Condolences may also be left online at boydfuneraldirectors.com.